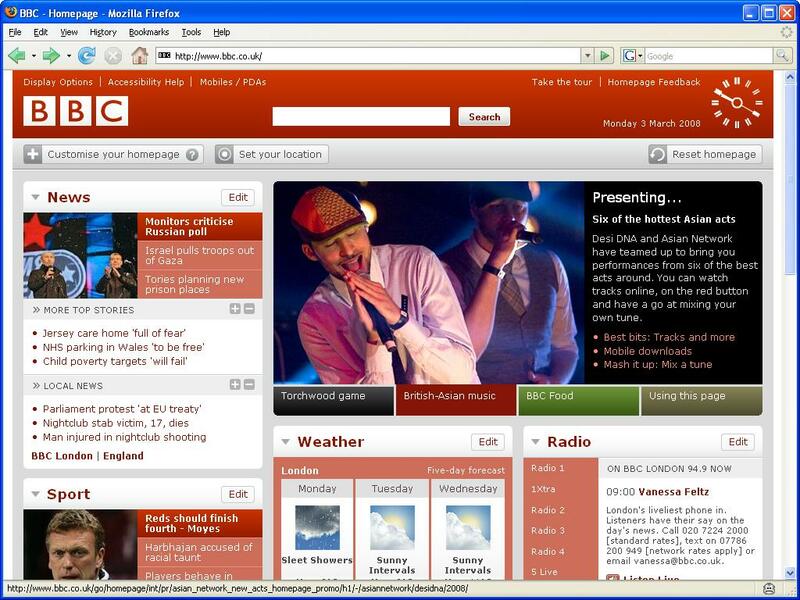 Generally I like the new look BBC homepage which officially went live last week after a couple of months in “beta”. 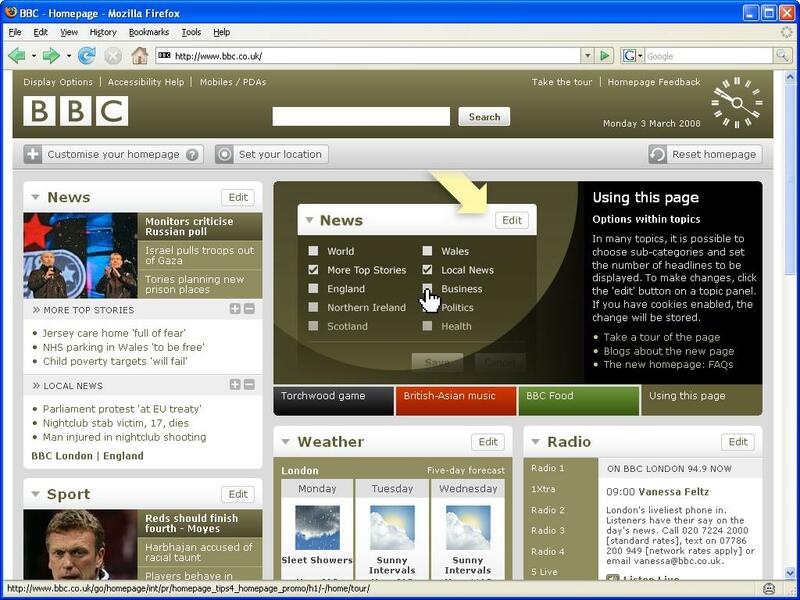 It’s got most of what I want: news, weather, listings – the iplayer link could be more visible. Redesigns are rarely straightforward to get right. I’ve overseen a few in my time. You’re damned if you do and you’re damned if you don’t – as they say. It looks like the feedback from people who’ve commented on the BBC’s internet blog has been mainly positive. One recurring theme in the feedback, however, and the one thing I would like to see changed, is the use of colour change when different “tabs” are selected. It goes against human nature and breaks the Gestalt principle of grouping objects by similarity. Below are four thumbnail images from today’s BBC homepage to illustrate. Click on the thumbnail to see the full size image. When I click on a coloured tab, key elements around the page change colour, using the tab colour as their base. Sub-consciously I infer a relationship between everything which switches to the new colour-scheme, when in fact there is no relationship. Agree about the colour changes – there must have been a fair bit of dicussion about this one before launch. When I see an item / area on a page change colour, I would expect the content to have changed i.e. the colour change is being used to highlight a content change. 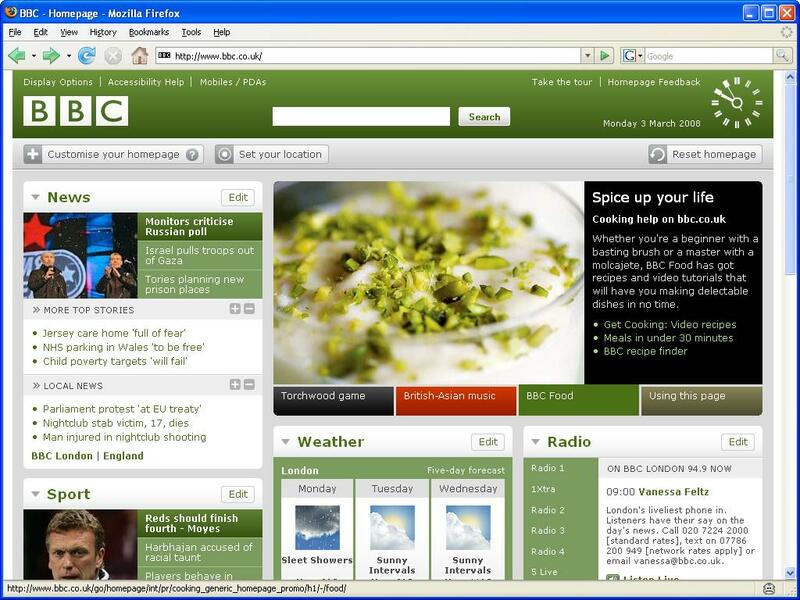 Colour change to indicate content change / refresh has become quite a standard practice with the increasing use of ajax, popularised by the ‘cool’ sites – basecamp and the 2.0 crew! Interesting comments on the new BBC site, I like it to (and I love the use of the clock). One thought, are you in breach of copyright publishing screen shots? 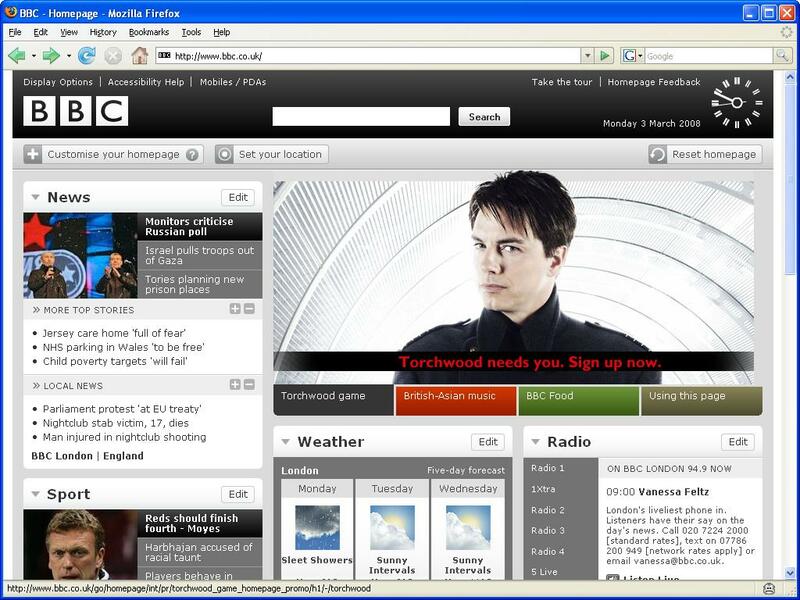 How would you react if the BBC asked you to take them down, would you comply or stand firm? I’m fairly certain I can claim “fair use” and argue that I haven’t infringed copyright. It would be interesting to know of any precedent.